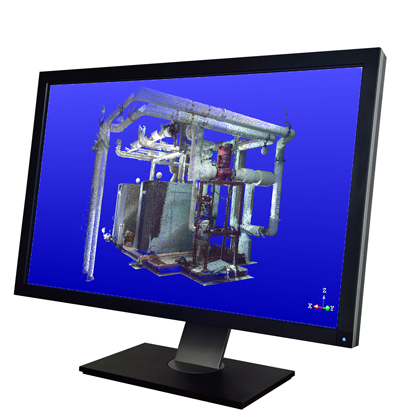 Trimble RealWorks is a powerful point cloud visualisation software tool that is designed to help MEP contractors visualise, explore and manipulate as-built data acquired by laser scanning technologies, including the Trimble TX6 3D laser scanner. The end result in Trimble RealWorks software is the production of compelling 2D and 3D deliverables for direct output or export to CAD packages such as AutoCAD and MicroStation. Overlay modeled point cloud conditions with your MEP design model (including your Trimble CAD detailing software) to illustrate the proposed design and identify conflicts between design and construction. For more information about RealWorks, you can request a demo or call 0800 028 28 28.